As I’ve told you before (see Babe on a Budget), my local grocery store, H-E-B, is one of my favorite places to shop for make-up products. Especially, when I want to be adventurous and try new stuff. 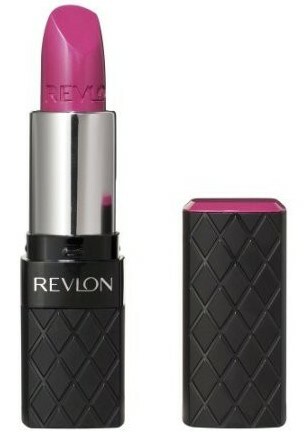 Lately, I’ve been really into the Revlon ColorBurst lip line-up. Thanks to strategic coupon usage, all three of these products cost me less than $15. TOTAL. This entry was posted in Vanity and tagged beauty on a shoestring, budget friendly, ColorBurst, judicial review, lip butter, lipgloss, lipstick, Revlon, top rated on December 3, 2011 by jenn. Last Friday, I was a bridesmaid for the first time in my dear friend Katy’s wedding. It was a BEAUTIFUL wedding, and I’m fairly certain we were the hottest bridal party ever. During the course of bridesmaid-hood, fellow bridesmaid Lindsey A. (not to be confused with bridesmaid Lindsey H.) asked if I could help her with her wedding day make-up. Like me, she was on a tight budget and looking to economize. However, since I’d be doing my own hair and make-up, I knew I wouldn’t have time to also do her make-up day of. What I did do was help her plan out a make-up strategy and aid in a make-up shopping extravaganza. As with any event prep, I told Lindsey to start by pulling make-up looks for inspiration. 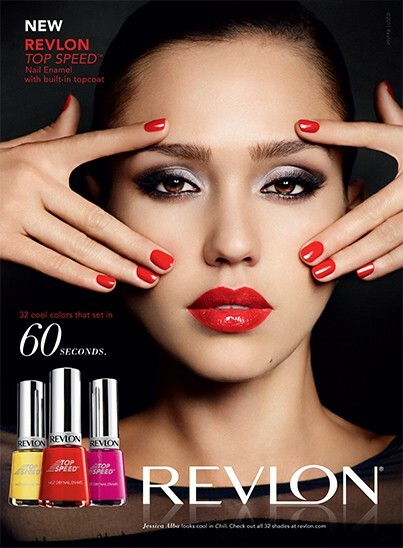 She tore out various magazine ads, and the one that emerged as the top candidate was this Revlon ad with Jessica Alba. We were all wearing floor-length gowns, so it was totally appropriate to wear a more evening make-up look. Lindsey especially liked the eye make-up in this ad. It was a great choice, because Lindsey has similar skin and hair coloring as Jessica. This entry was posted in Vanity and tagged beauty on a shoestring, budget friendly, coupons, Covergirl, drugstore brands, H-E-B, Jessica Alba, L'Oreal, make-up, Maybelline, Revlon, wedding on November 9, 2011 by jenn. I’ve been on a super tight budget these days; one where my only permitted shopping is at the grocery store for food. However, THE fashion show of the year for TRIBEZA Style Week was coming up, and I didn’t have anything to pull from the dress archives to wear. While short on cash, I did have some Banana Republic Rewards burning a hole in my pocket, so I visited the Gap (BR Rewards are redeemable there). This entry was posted in Vanity and tagged accessories, Aquage, big hair, budget friendly, Calvin Klein, curls, Dior, fashion, Gap, maxi dress, setting hair, styling, Target on October 4, 2011 by jenn. As I was getting ready for Jenn’s wedding and gathering make-up products, I knew that we would be using a highlighter. If you’ve never used a highlighter, you must try it. It’s not something I would use every day, but it looks great for a more jazzed up look, and it looks especially fabulous in photos. A cult favorite highlighter that I have used and is great is Benefit High Beam. It comes in a nail polish like bottle, and you simply dot it on your cheekbones and blend with your fingertips. However, it’s not inexpensive, especially for something I won’t use very often. But then, I was wandering the make-up aisles at Target and found this! It’s e.l.f. Essential Shimmering Face Whip. It comes in multiple shades; Target carried Spotlight and Lilac Petal, and I purchased both. And you know what the best tadalafilhome part is? Each tube is only $1. ONE. DOLLAR. For reals. This entry was posted in Vanity and tagged budget friendly, e.l.f., highlighter, make-up, top rated on September 12, 2011 by jenn.